The year is 1863, the tumultuous samurai era is coming to an end. Japan is split between the pro-shogunate and anti-shogunate factions. The fate of the world is threatened as an army of historical revisionists are sent from the future to alter the course of history. 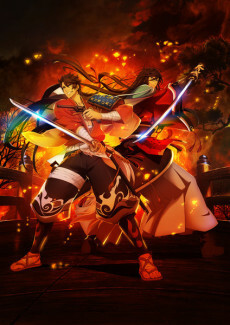 In order to bring these forces down and protect the real history, two sword warriors, spirits who are swords brought to life by Saniwa (sage), rush to Edo with a lively gang of warriors to confront the invaders.